Brussels: Ryanair cabin crew from five European countries will go on strike on September 28, threatening hundreds of flights in the latest round of a bitter tussle between unions and the budget airline’s management. Staff from Belgium, the Netherlands, Italy, Spain, and Portugal announced a 24-hour stoppage that unions say will be the biggest strike in the Irish carrier’s history. Ryanair workers — pilots, ground staff, and cabin crew — are demanding better working conditions and want their contracts to be based on the law in their country of residence rather than in Ireland. “Unfortunately, discussions continue without results,” Yves Lambot of Belgium’s CNE union told AFP, describing negotiations with Ryanair management. A group of unions from the five countries issued a statement after meeting in Brussels, accusing the airline of disregarding the law and promoting a “bullying culture”, and saying management was “incapable of maintaining a meaningful conversation during the talks”. In a letter addressed to European Commission head Jean-Claude Juncker and Social Affairs Commissioner Marianne Thyssen, the unions urged the EU executive to “clarify” its position on the dispute, and to help the company and unions reach an agreement. News of the new walkout comes just a day after the Irish carrier was forced to cancel 150 out of 400 flights to and from Germany because of strike action by pilots and cabin crew there. 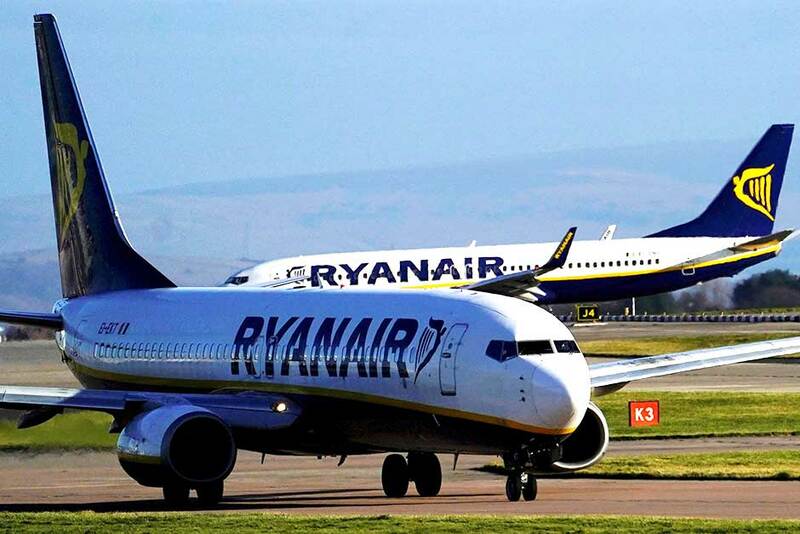 Ryanair slammed the German stoppage as “unacceptable” and “unnecessary”, and shortly before the announcement of the new action the airline insisted unions would fail in their bid to cause “travel chaos”. “The overwhelming majority of Ryanair’s flights and services that day will operate as normal,” the company’s chief marketing officer Kenny Jacobs said in a statement. A key gripe of workers based European countries, is that Ryanair employs them under Irish legislation. They say this creates huge insecurity, blocking their access to state benefits in their own countries. Late Thursday, cabin crew unions for Ryanair in Italy said they had reached a preliminary agreement that would allow workers to transition to Italian work contracts, with final details expected in the coming days. Ryanair’s colourful chief executive Michael O’Leary struck a typically combative tone after the German strike, vowing not to bow to union pressure. “We are not easyJet, we will not roll over every time we are threatened with a strike,” O’Leary told reporters in London, mocking a rival low-cost carrier. Ryanair has been clashing with worker representatives ever since it took the unprecedented step last year to start recognising trade unions in a bid to avert widespread Christmas strikes. Last month, Ryanair pilots in five European countries, including Germany, held their first-ever simultaneous walkout, causing some 400 flight cancellations and travel chaos for 55,000 passengers. The airline boasts lower costs per passenger than its competitors and is eyeing profits of about 1.25 billion euros ($1.45 billion) this year, but staff have long complained that they earn less than counterparts at rival carriers. Ryanair has countered employee complaints by saying it has already offered significant pay increases and more local contracts.